The opening of Mister Donuts in Tokyo was like winning Willie Wonka’s golden ticket and a 3-day pass to Disney World. No more sugar glazed bread circles stuffed into plastic bags pretending to be donuts. Mister Donuts were like real American donuts. The chocolate donuts tasted like firm chocolate cake. More food fantasies were fulfilled with the appearance of Dunkin’ Donuts. My favorites were the pastel cream filled donuts. Krispy Kreme shops also caused great excitement. And lines around the block. 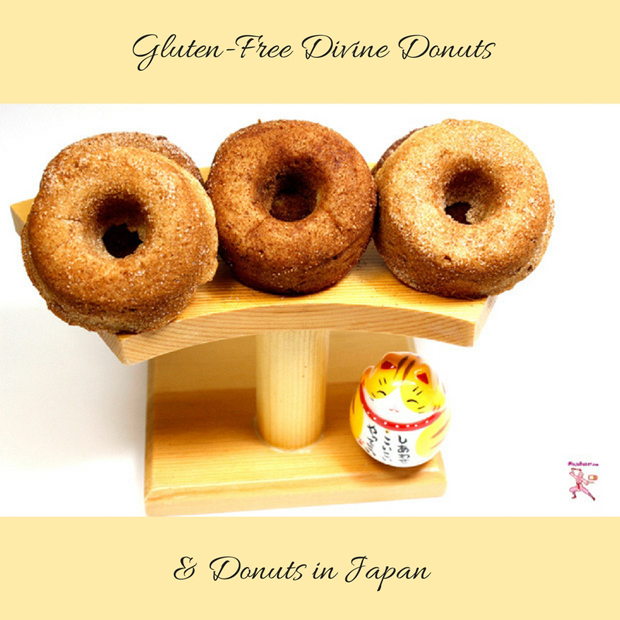 Today, the Japanese donuts are as eclectic and creative as Harajuku’s fashion boutiques. Cute “kawaii” kitty and puppy decorated donuts compete in cuteness. More mature palates can enjoy subtle expressions of matcha tea. The influence of foreigners have even stirred up stores selling vegan donuts made with organic ingredients. Gluten-free donuts may be right around the corner. My guess is it’ll be another fad in Japan’s tried-and-true rice based diet. 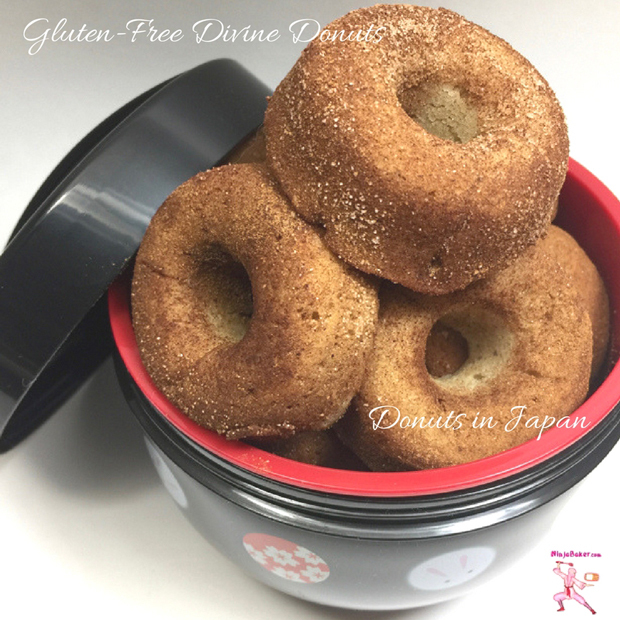 If you’re currently living in Japan, my gluten-free recipe will be easily made. You’ll just need to bring a few pounds of 1-to-1 gluten-free baking flour from the States. (Bob’s Red Mill works well.) Or have a friend or relative bring the flour to you. Amazon or shopping at a foreigners’ market like Kinokuniya are other options. The batter bakes up to a firm but not overly dense texture. If you like super sweet donuts, add sugar to the mix. 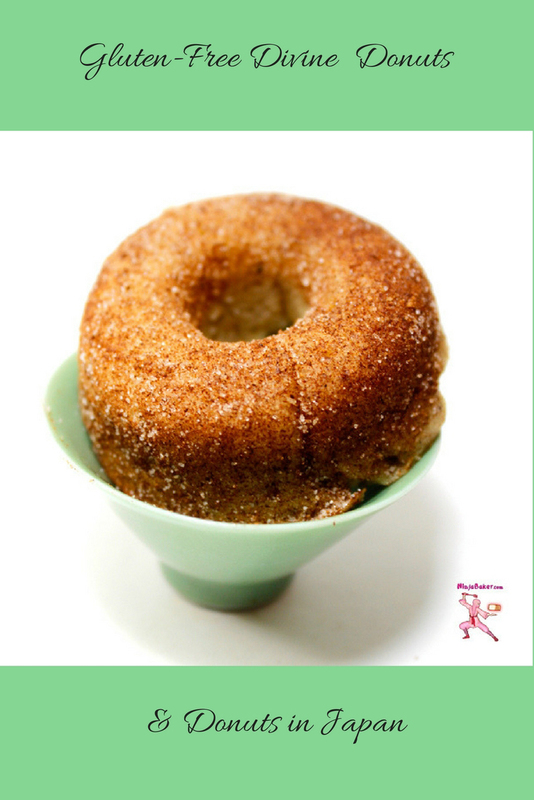 For most the cinnamon sugar that coats the gluten-free donuts is perfect. Of course, you can always skip the cinnamon sugar and dip the donuts in chocolate or whatever makes you happy. 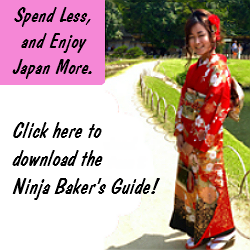 For more about gluten-free living in Japan, click here. 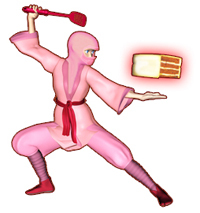 Wishing you a divine donut day!